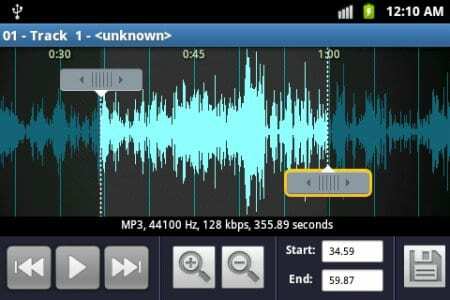 Here are Top 25+ Best Audio Editing Apps For Your Android Device 2019: Android OS, which is now used by more than billion people due to its wide availability. Unfortunately, there are no inbuilt apps in Android OS that gives you the authority to edit audio files. Therefore, we are going to mention Top 25+ best audio editing files for your Android smartphone. Go through the post to know about it. Like me there are also many music lovers who listen to different types of music on their the Android device. But sometimes we need to cut some part or edit it to get some of our favorite lyrics out from it to either make it the ringtone or to join with another one. At that time, you need some audio editing apps that we are going to discuss right here, and with these apps, you can easily edit all your favorite music and songs according to your wish. So have a look at these apps below. We have selected some of the best apps for you that have very positive user ratings, reviews, and download rates. So have a look at these and then download the one that you feel is more convenient for you. This is one of the best apps that you will love to have on your device. With this app, you can make high-quality tracks as a sequence of loops, mixing synths, drums, samplers, audio recordings, analog modulators, and arpeggiators. Apply FX to channels and export to mp3 or ringtones. Also publish, play, remix and collaborate in our community. MP3 Cutter is the best tool for editing music files in a convenient and easy way. 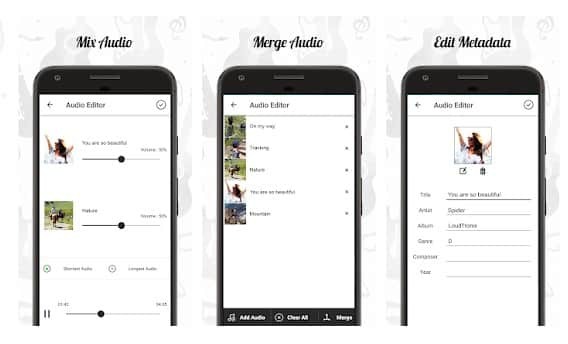 This application also supports merging of audio files. The application is designed to make music editing very easy and fun. Also, there are lots of new features in this app that you will come to know after using this cool app on your Android device. The another best audio editing app for your Android that allows you to edit your media according to your wish. 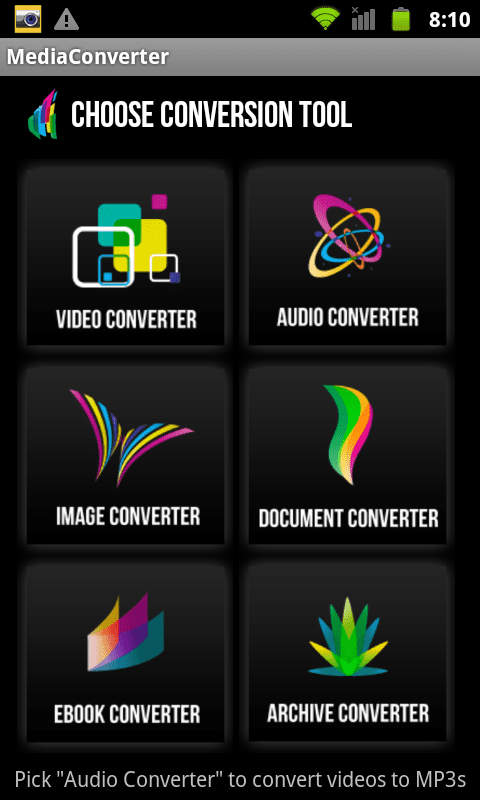 Media Converter allows you to convert all kinds of media formats to popular media formats: mp3, mp4 mpeg4, aac, Ogg, Avi (mpeg4, mp3), MPEG (mpeg1, mp2), Flv (Flv, mp3) and WAV. Also, audio profiles: m4a (aac-audio only), 3ga (aac-audio only), OGA (FLAC-audio only) are available for convenience. ZeoRing provides a handy user interface for easy ringtone editing, assigning these ringtones to your contacts and making them default tones. You can easily trim your MP3, AAC, AMR, WAV files and produce ringtones, notification, and alarms. ZeoRing provides you an organized view of all your audio files. You can also record sound and make it the ringtone. 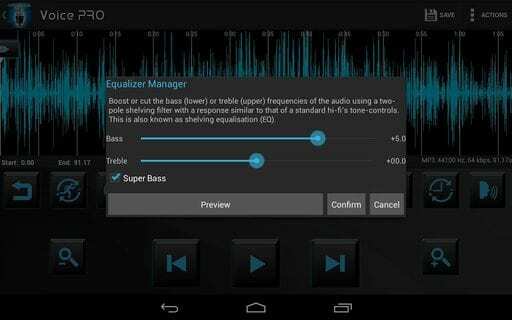 It is also a very cool audio editor app that you will love to use on your Android device. 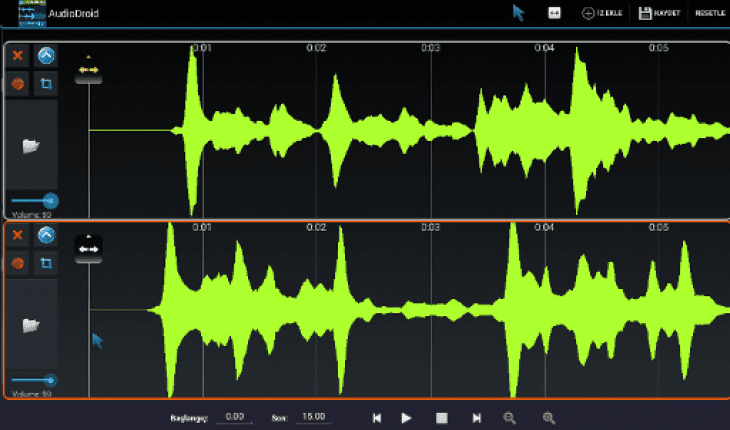 WavePad is free sound and audio editing application. Record, edit, add effects and then save audio or send it to others to share or continue editing on another device. With Music Maker Jam, you can combine thousands of professional samples and bring your musical ideas to life. Record vocals, rap or random sounds and use the 8-channel mixer to give your mix the right balance. You will get extended features like the harmony editor and real-time effects. Mp3 Cutter & Merger is an Android application which is used for cutting and merging Mp3 files. You can customize the songs as per your wish. While playing a selected portion of the audio, you can see an indicator cursor and auto scrolling waveform. You can zoom this wave and cut the song at the perfect position you want. You can create new audio records or edit audio files with the editor. Save the files in the desired audio format. The trial version has all the features of the paid version including save in WAV, M4A, AAC, FLAC and WMA format. The saving in mp3 format is available only in the paid version. Walk Band is a music studio (a toolkit of virtual musical instruments) customized for Android. It contains tons of features including Piano, Guitar, Drum Kit, Drum Machine, Bass, Multi-tracks synthesizer, etc. All instruments use the realistic instrument sounds. You can add the drum beats and guitar chords to your piano melody. 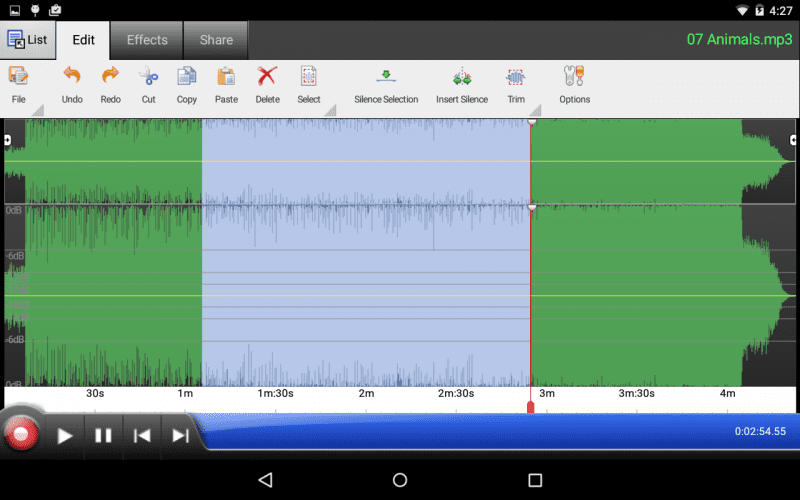 Android Audio Editor is a multi-functional tool for managing and editing your audio files. The three main functions are audio extraction, audio conversion, and audio editor. The audio editor allows you convert mp3 files to ringtone. It gives you access to the free ringtone world. The interface is intuitive and easy to use. You can select part of the mp3 file to save as mp3 ringtone. 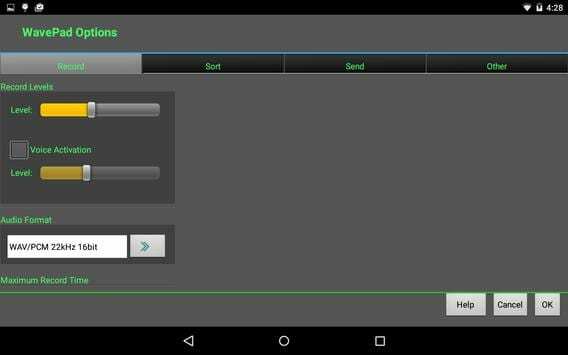 AudioDroid: Audio Mix Studio is a sound & music recorder, editor, and mixer. You can edit and mix MP3, MP4, WAV, AAC, OGG and AMR audio files and create ringtones, alarms, and notifications from them. AudioDroid allows you to add new tracks, mix the tracks and save the mixed audio file in mp3 format. Audio Editor is an application that lets users cut audio files into parts. And those different parts will merge and create new audio. This application is too much useful for you to get that part of music from the full file which you like most but it is tough to find from the internet or any other sources. Audio MP3 Cutter Mix Converter lets users cut MP3 for ringtones, merge two or more audio files, mix audio clips and change the metadata fields like Art Cover, Music Album name, etc.multi track, Convert from one format to another – MP3, AAC, WAV and the list of app features goes on. 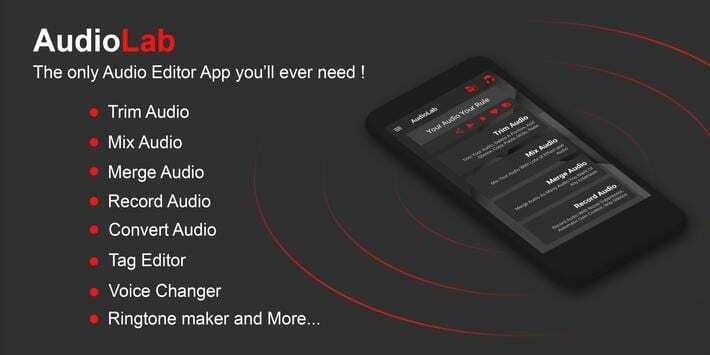 Audio Evolution Mobile Studio is the most powerful multi-track audio and MIDI recording studio on Android with support for over 250 USB audio and MIDI interfaces, virtual instruments, editing with unlimited undo/redo, mixing, real-time effects, automation and much more! Record your voice, guitar, piano or any other audio source or create beats and synth tracks using a piano roll or external MIDI keyboard. Mp3 Editor, Merger & Cutter is a complete music editing tool for your smartphone. The Mp3 Editor can be used to edit, merge and configure the music file to be set as the ringtone on the device. Music Editor from smart app tools is Professional Audio Editing Tool for your daily needs with most useful and handy features to edit your audio in few seconds. This app can cut, compress, convert and join the best part of your audio song at ease. 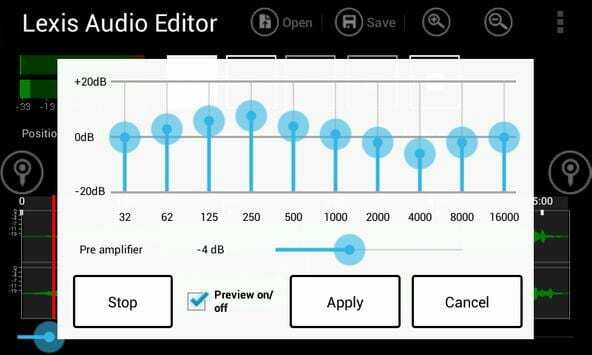 If you are looking for an easy to use audio editor then Auphonic Edit is a must have app for your Android smartphone. This app is made in combination with the integrated Auphonic web service, you can post-process, encode, tag and publish your podcasts, interviews, music recordings on the go with a single click. 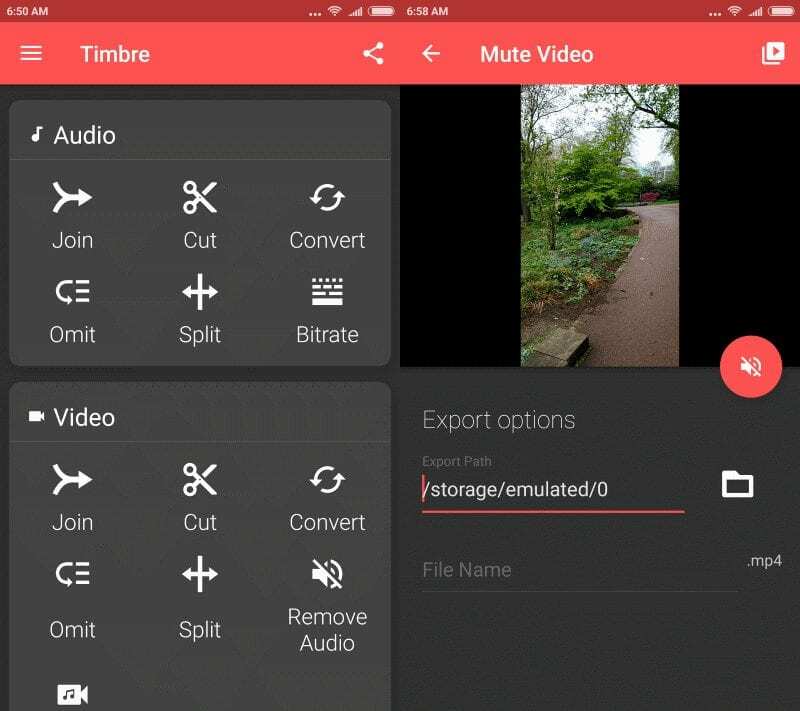 Timbre is an app for editing audio and video files. It allows you to edit, cut, join and convert your media files. It is completely free and has no ads. This app also allows users to convert text to speech. This app houses some powerful and professional recording and mixing equipment. Users can create their own music with this easy to use mixer studio. This app supports almost all audio formats. 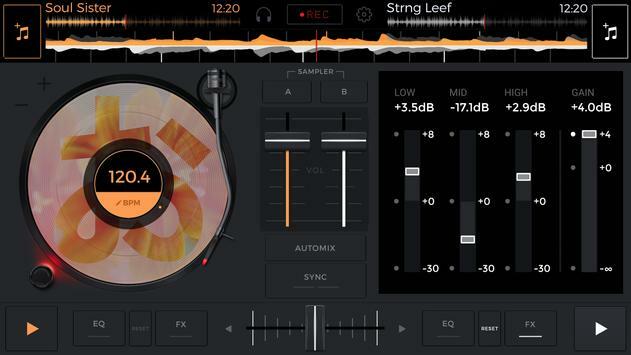 If you love DJ then this has all the must-have DJ tools. This app has an intuitive interface that gives you a direct and quick access to all the essential features to gain time during remix live sessions. Voice Pro is one of that excellent Android app which you can use to edit, cut, adjust, eliminate disturbances, noises from your music file. 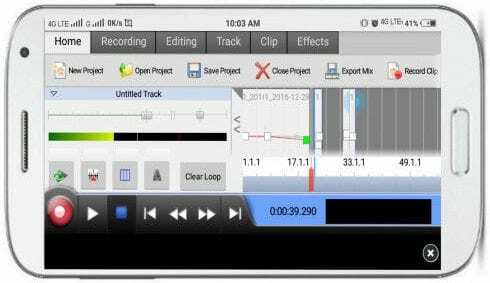 This is one of the most advanced audio editing tool available for Android which allows users to record high-quality recording and editing. 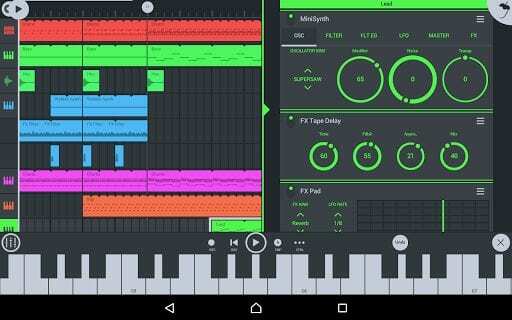 With FL Studio Mobile you can create and save complete multi-track music projects on your Android phone or tablet. This is an audio editing tool which comes with lots of exciting features like you can record, sequence, edit, mix and render complete songs. So, this is another best audio editing app which you should have on your Android device. 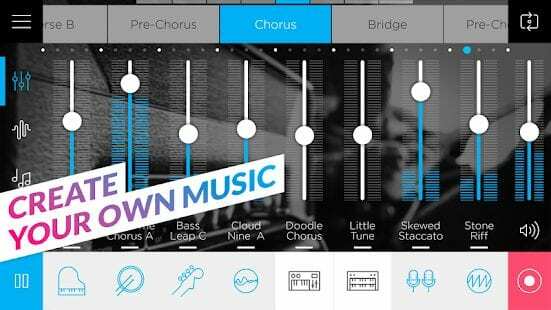 Recording Studio is a multitouch sequencer for Android devices. Recording Studio makes recording, editing and mixing a breeze. 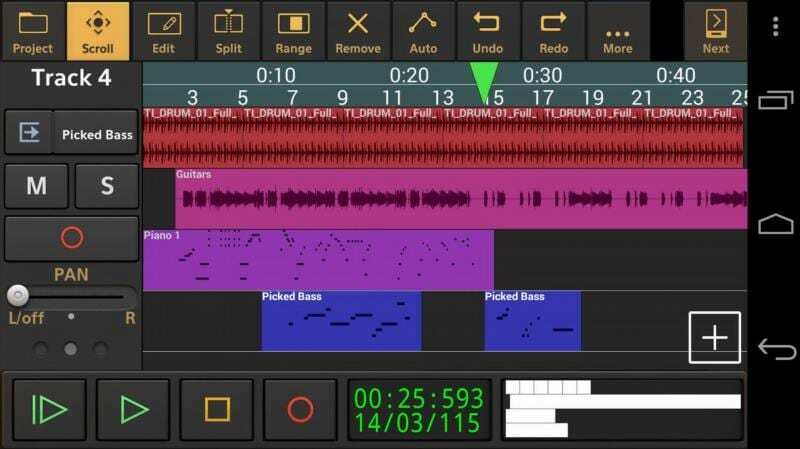 The free version of the app allows users to record up to 2 tracks by choosing between audio recording or by using the virtual instrument provided by the app itself. Music Maker JAM is another best Android audio editing app that you can consider. The great thing about Music Maker JAM is that it offers thousands of studio-quality loops, beats, and samples, etc. Not just that, but Music Maker JAM is also an ultimate sharing platform which allows users to share their tracks directly on different audio platforms like SoundCloud, Facebook, WhatsApp, etc. Well, AudioLab is an unreleased app, but you can enjoy it on your Android. The great thing about AudioLab is that it features almost every audio editing feature that users search for. With AudioLab, you can cut audio, merge audio, record audio, and can do lots of other audio editing stuff. So, AudioLab is one of the best advanced audio editors which you can use on your Android smartphone. Audio Editor from AndroTechMania is another best in class music editor app that you can use on your Android smartphone. The great thing about Audio Editor is that it provides users lots of users tools to create ringtones, mix songs, change audio formats, etc. Not just that, but Audio Editor also offers an Audio Extractor and Tag editor as well. 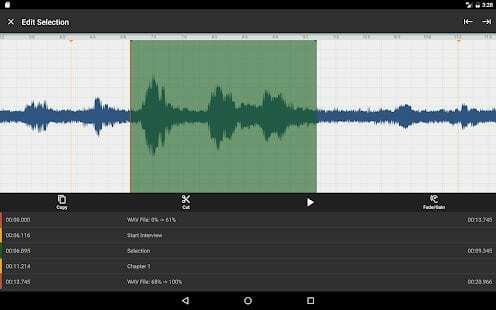 WaveEditor for Android is another great Android app which can help you to edit, record and mastering audio. The great thing about WaveEditor for Android is that it supports a wide range of audio file formats and makes it suitable for audio format conversion. 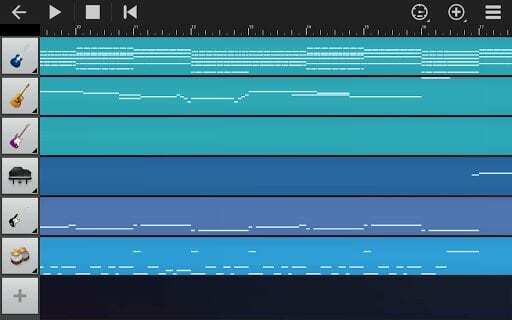 Not just that, but with WaveEditor for Android you can also mix and edit multi-track. 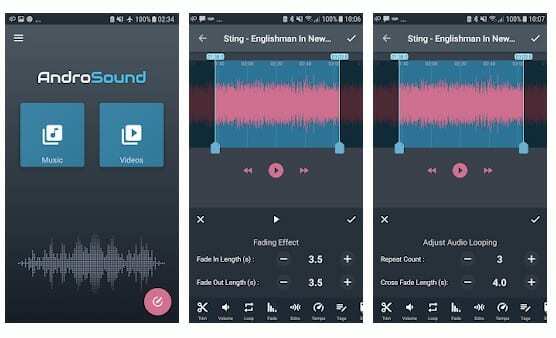 If you are looking for an easy to use Audio editor for your Android smartphone, then AndroSound Audio Editor might be the best pick for you. Guess what? AndroSound Audio Editor will provide you every tool for audio editing, trimming, recording, etc. You can also add audio effects on any song like add echo, adjust volume levels, etc. 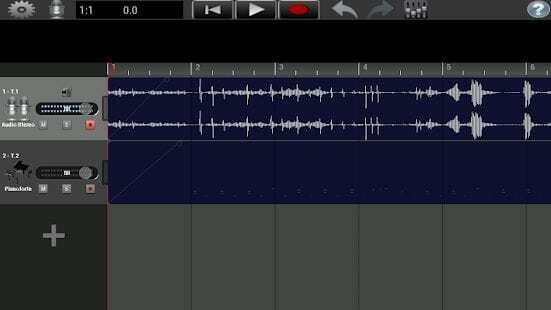 So above are the Best Audio Editing Apps For Android. 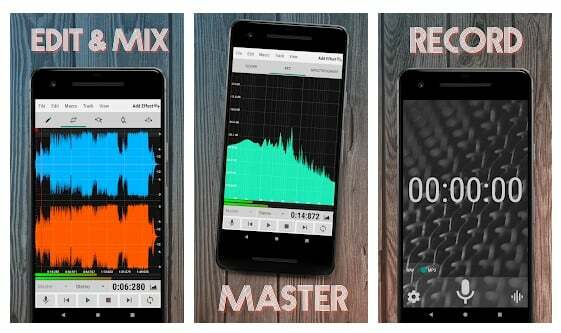 With these apps, you can easily edit any audio files on your Android device and make them your device ringtone as per your desire. Hope you like these apps, tell the name of an app that you like most in a comment box below.